Catherine was certainly said to resemble Henry as she got older. And was given some deference at court. 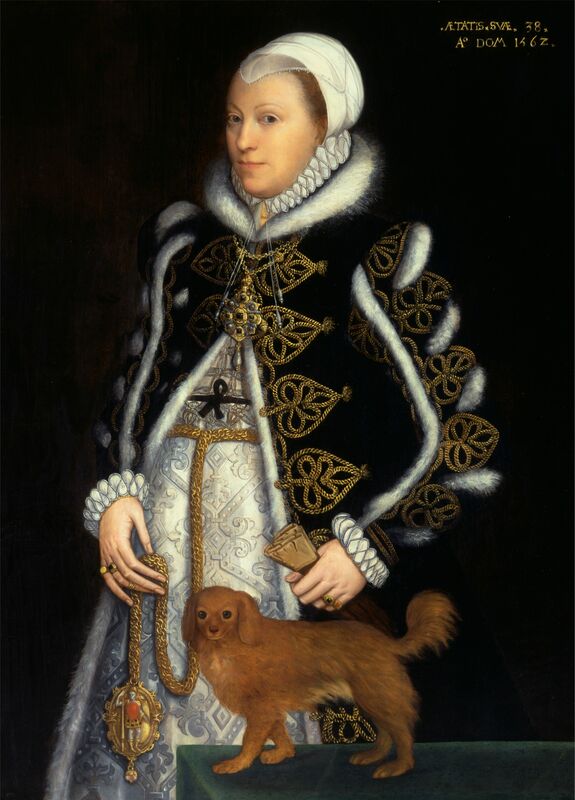 Unlike her brother, her conception and birth do match up with dates Mary was involved with Henry. True, but by that count Prince Harry is believed by some to look like James Hewitt. Doesn’t make Hewitt his biological father. I have questions about the BRF's descent from three distinct lanes: the Prophet Muhammad, the Tang Emperors of China, and Genghis Khan. When it comes to their descent from M, I know there have to be many lines of descent left up for debate. Has any of this been proven? I don't remember where I heard this, but someone said they're related to his grandson, Kublai Khan. Ditto for a descent from the prophet Muhammed. Lots of speculation and proposed lines but no proof. Does the royal family have any Canadian, Monegasque or islander (Bermuda, Jamaica, St. Kitts, etc.) ancestors? Well, what members? Do you mean Queen Elizabeth II, Duke of Cambrige, Duchess of Sussex? There are many members of the royal family, do you mean born members or members who entered the royal family through marriage? It could be any of those three. I’d even say Princess Di—since she is 1/8 American. I almost said Sarah, Duchess of York and Camilla too, but I know for a fact that both of them have a Canadian ancestry; so, I excluded them in my questions. I checked Lady Di, but there doesn't seem to be any Canadian ancestry in her nearest ancestry chart. Still didn't check Sarah and Camilla. If you know some fact, please provide us! Both Sarah & Camilla’s Canadian bloodlines are heavily written about under the Ancestry section of their Wikipedia pages. Also, is Diana related to any of the founders of the 13 Colonies (William Penn, George Carteret, etc. )?